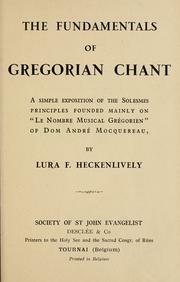 1 edition of The fundamentals of Gregorian chant found in the catalog. Add another edition? 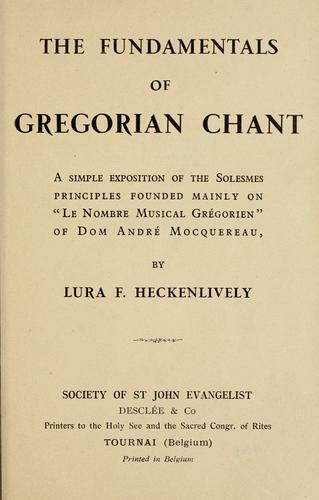 Are you sure you want to remove The fundamentals of Gregorian chant from your list? a simple exposition of the Solesmes principles founded mainly on Le nombre musical grégorien of André Mocquereau. Published 1900 by Society of St. John Evangelist, Desclée & Co., printers in Tournai .